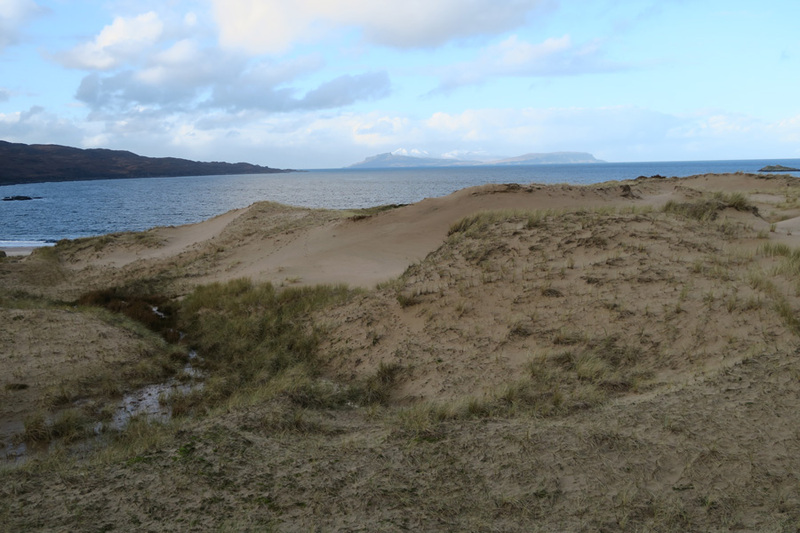 Cul na Croise is a stunning beach and a fine example of a rare acidic dune system. 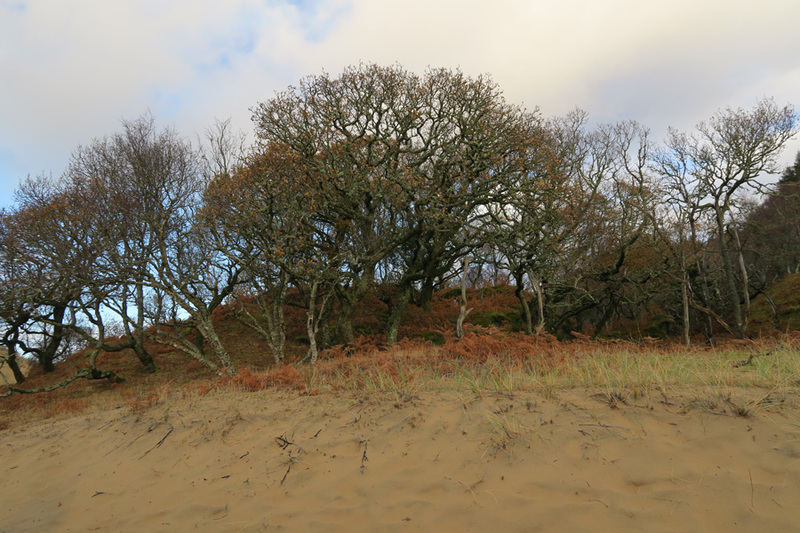 It consists of mobile dunes, dune grassland, dry coastal heath and wet heath and is notable for its transition into semi-natural oak-birch woodland. 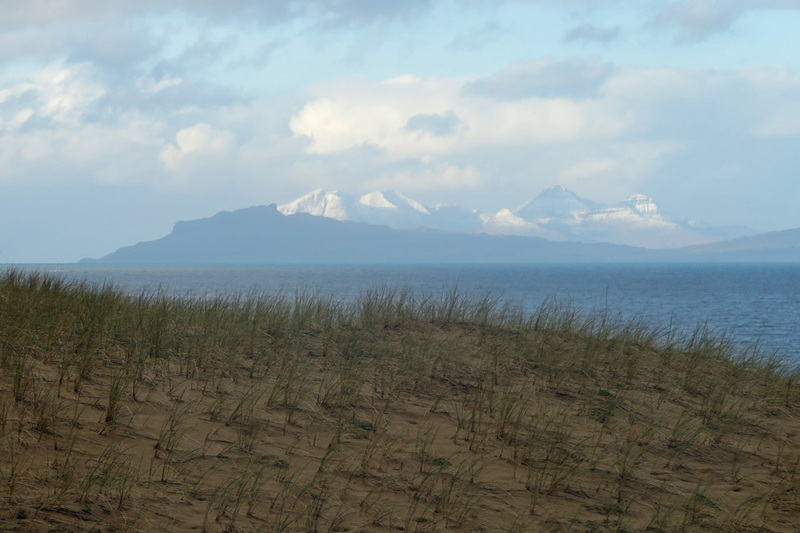 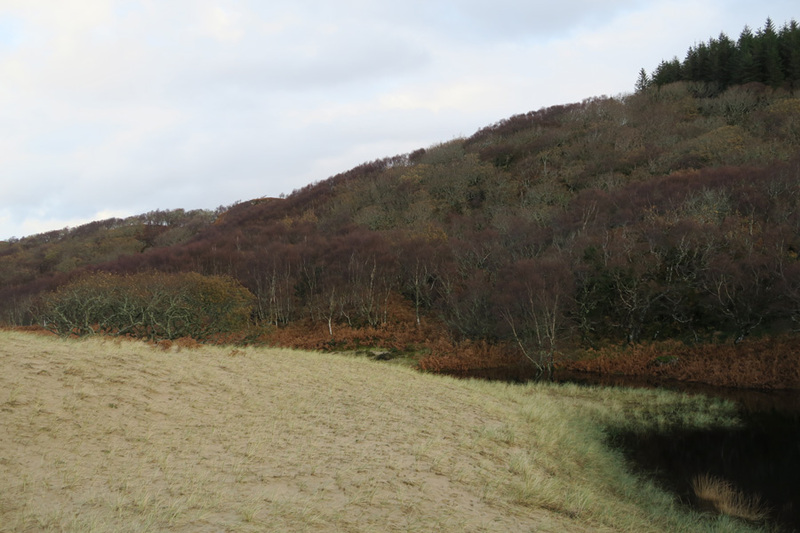 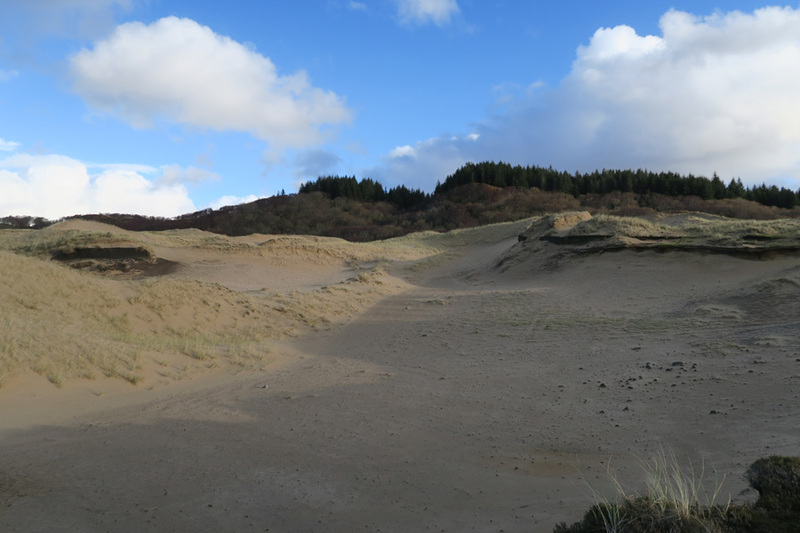 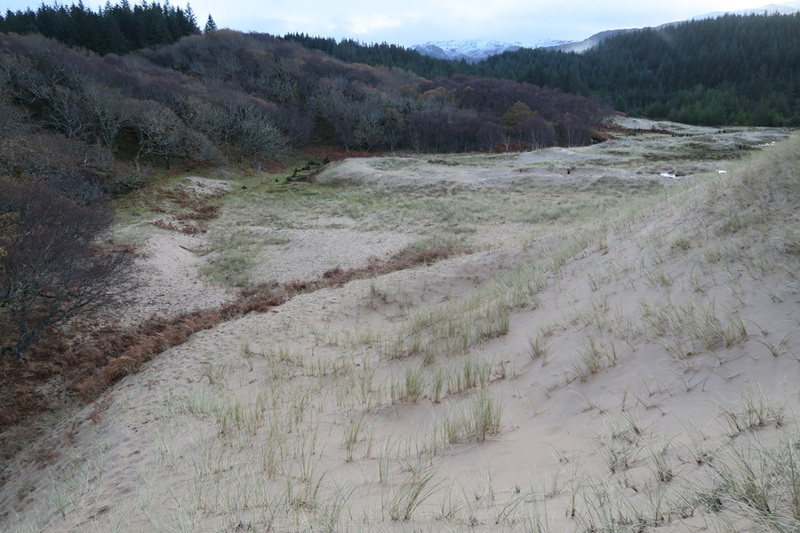 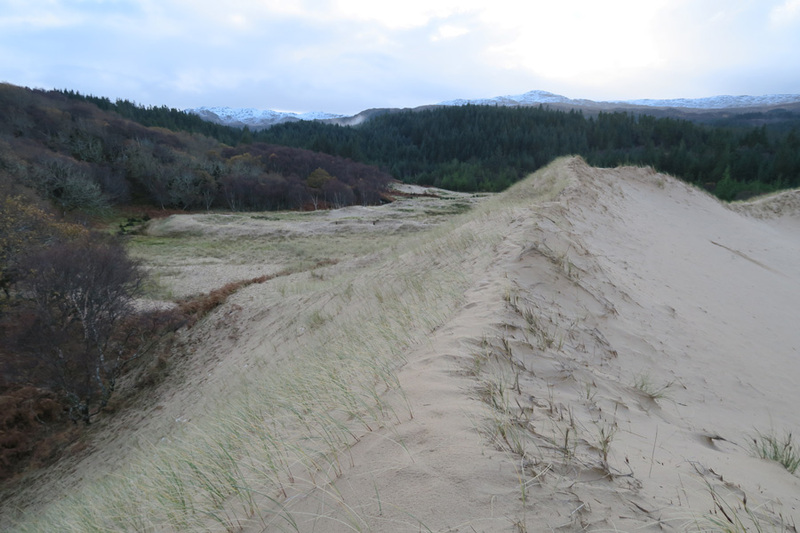 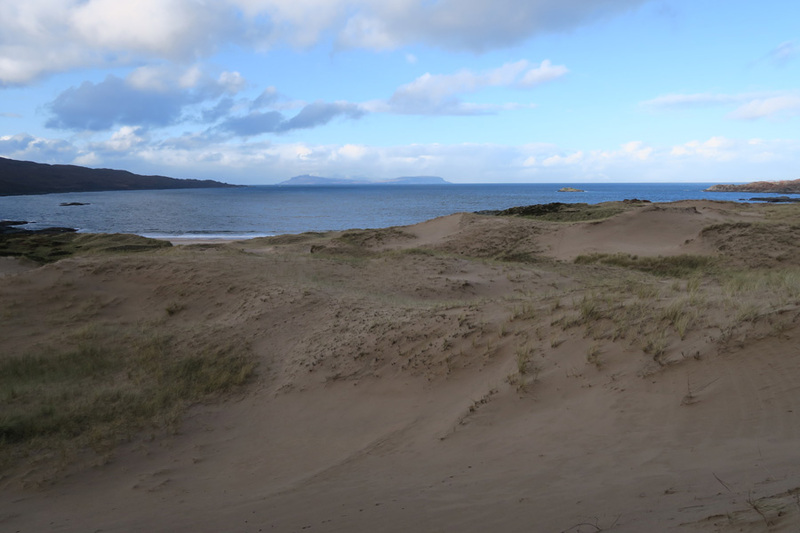 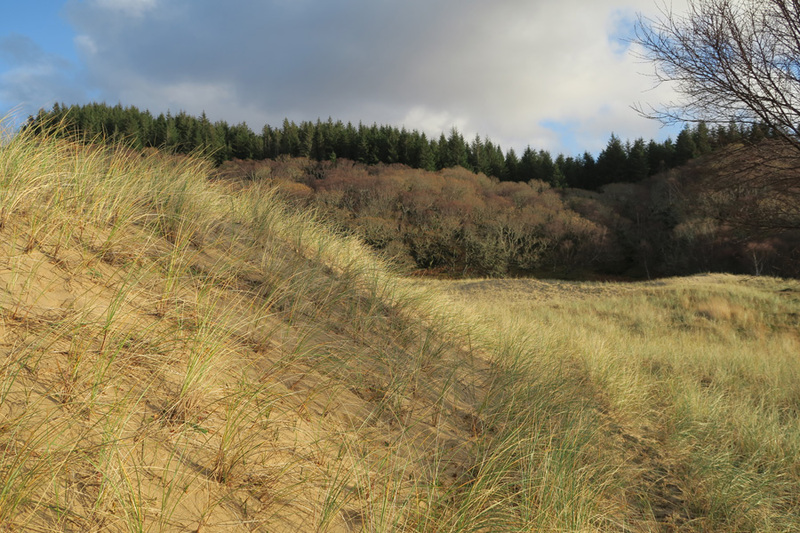 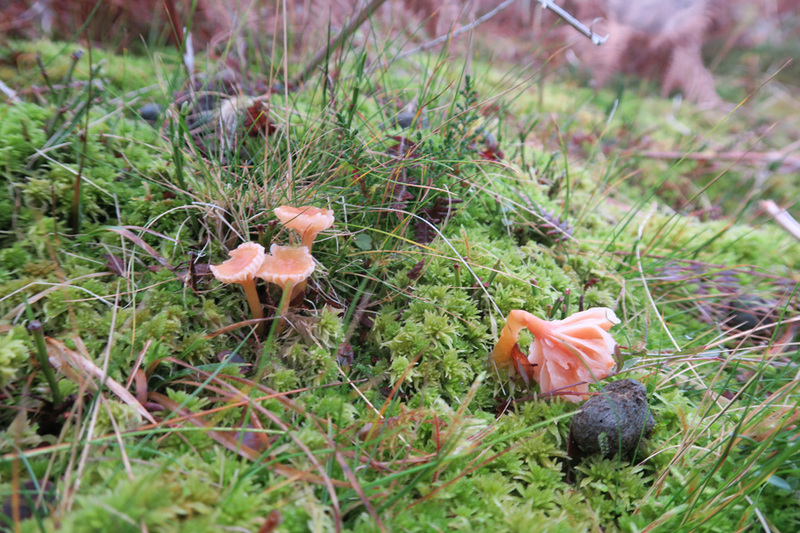 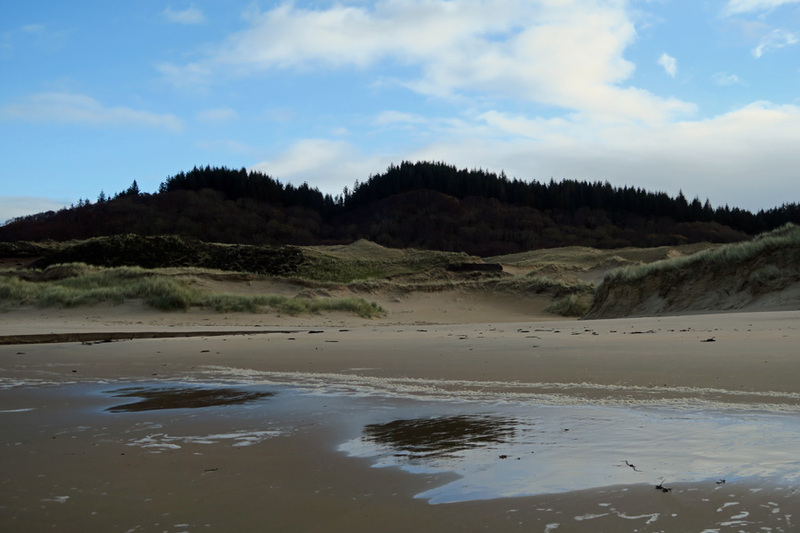 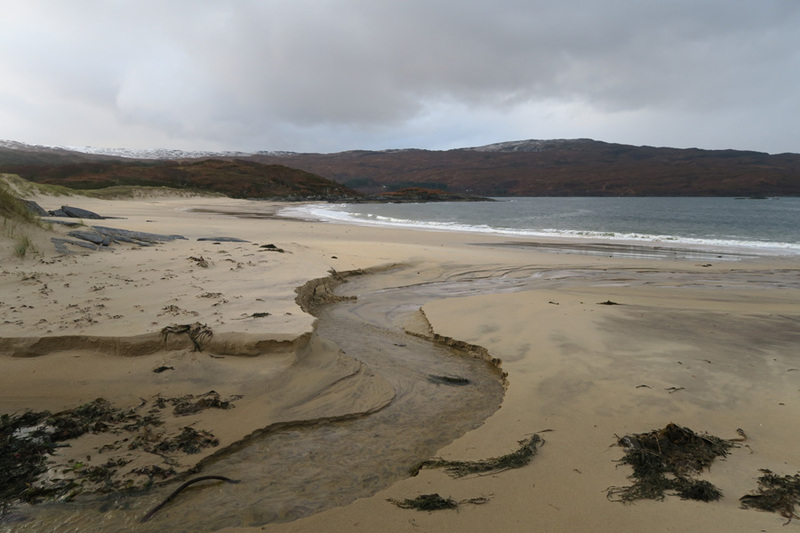 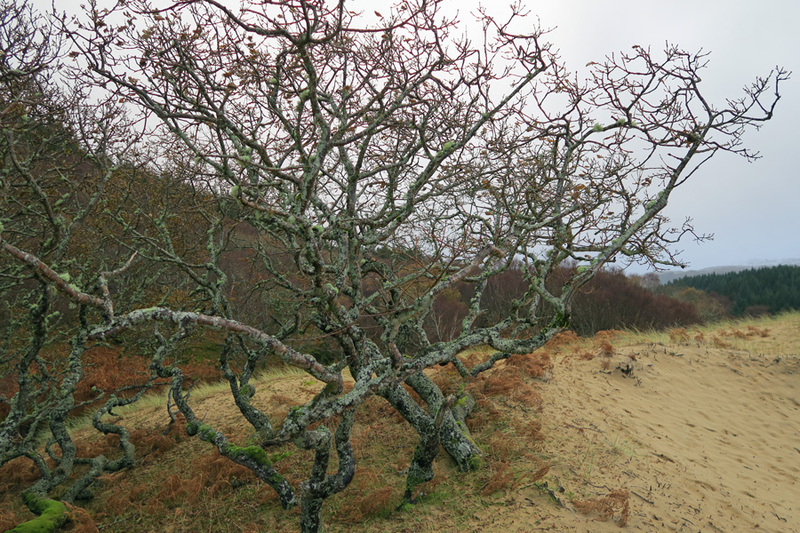 The nature conservation interest of the site is high, being an entirely acidic dune system and one in which the dune system abuts semi-natural woodland, both of which are rare in Scotland (SNH Sand Dune Survey 1998). 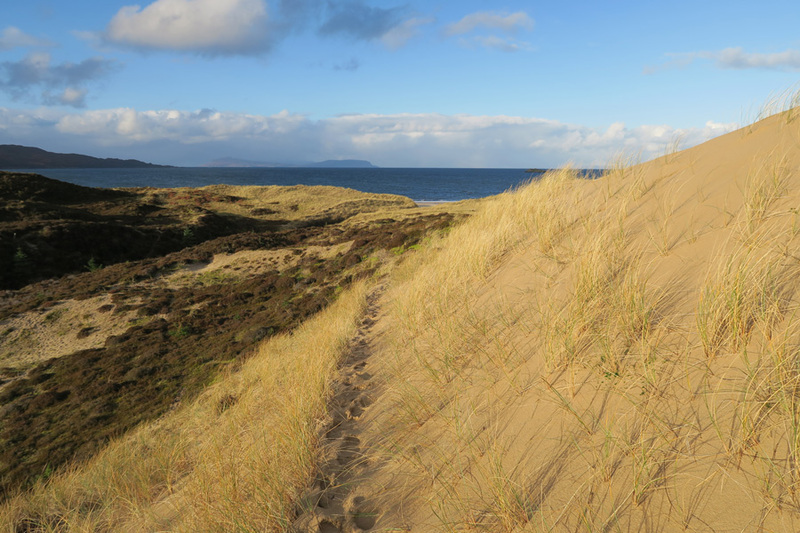 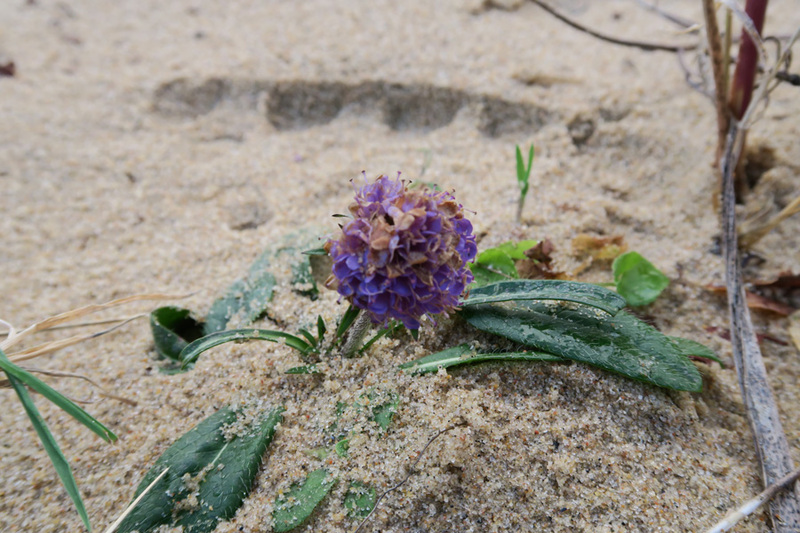 The variety of habitats within the dune system support a rich assemblage of species. 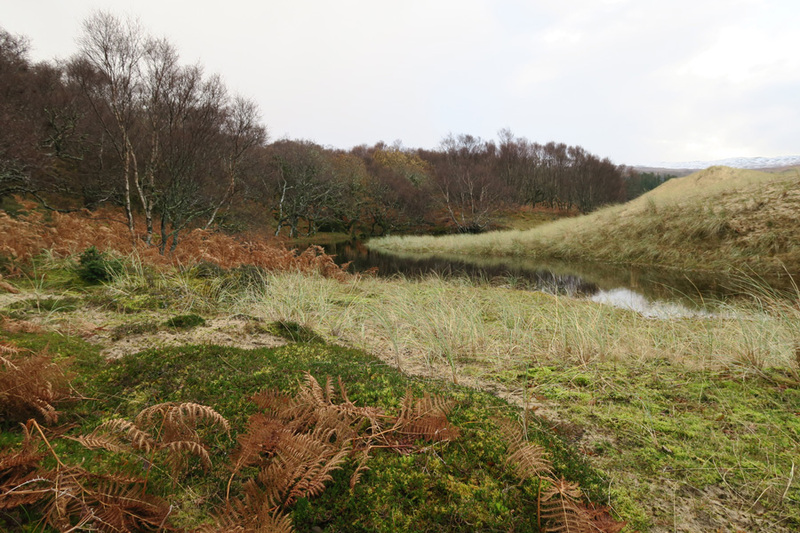 This is a great place for botanising and wildlife watching. 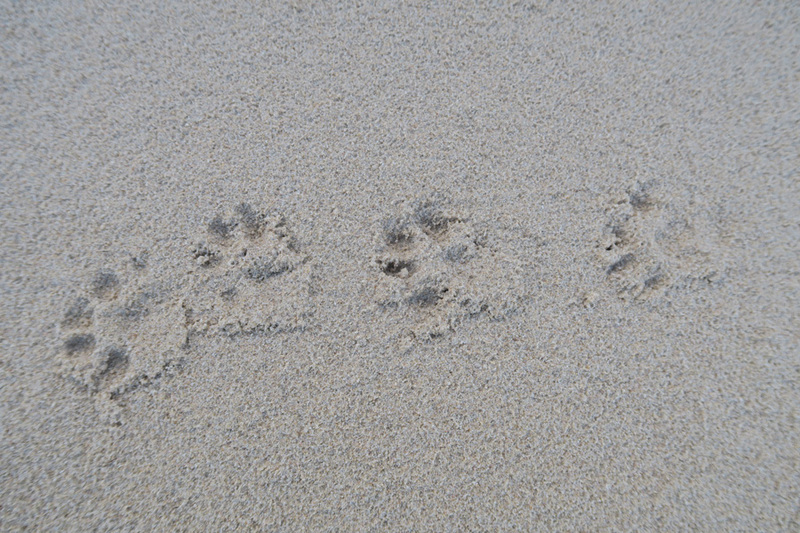 Look out for the tracks and signs of otter, red deer, badger and pine marten. 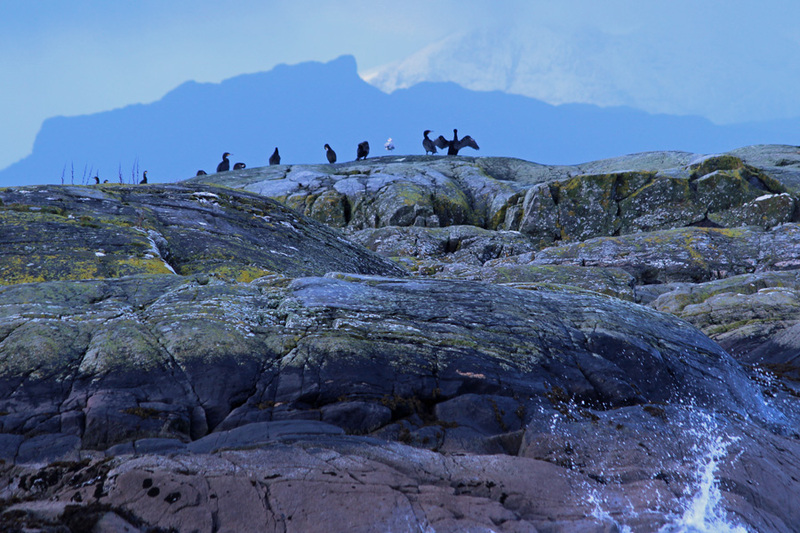 Scan the waters for cormorants and divers. 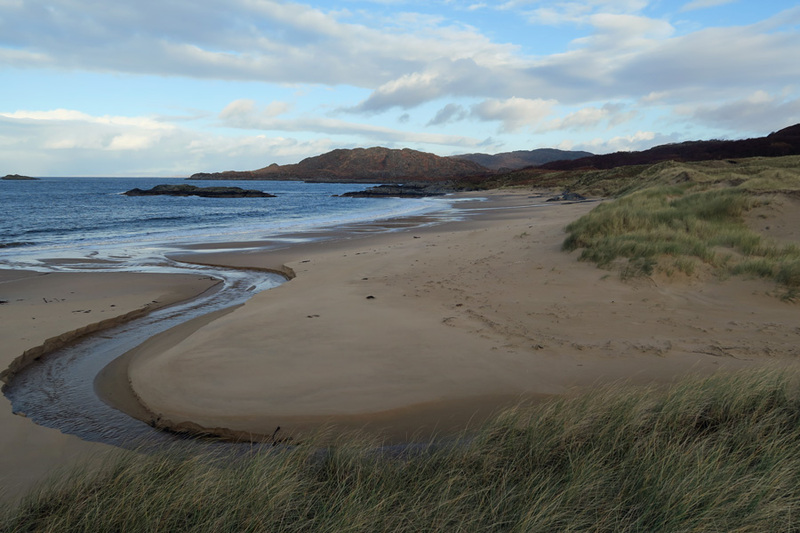 Cul na Croise and the nearby Camus na Lighe have also been identified in another SNH commissioned report on the beaches of the Highlands and Islands (reprinted in 2005) as two beaches where the remoteness and wilderness quality should be preserved; they are the only two beaches on the Highland mainland of Scotland given this designation in the report. 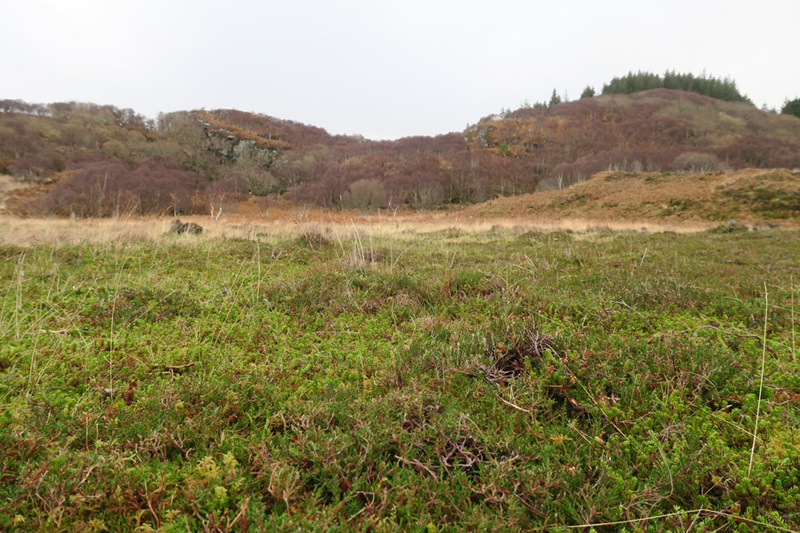 The site is also of archaeological interest. 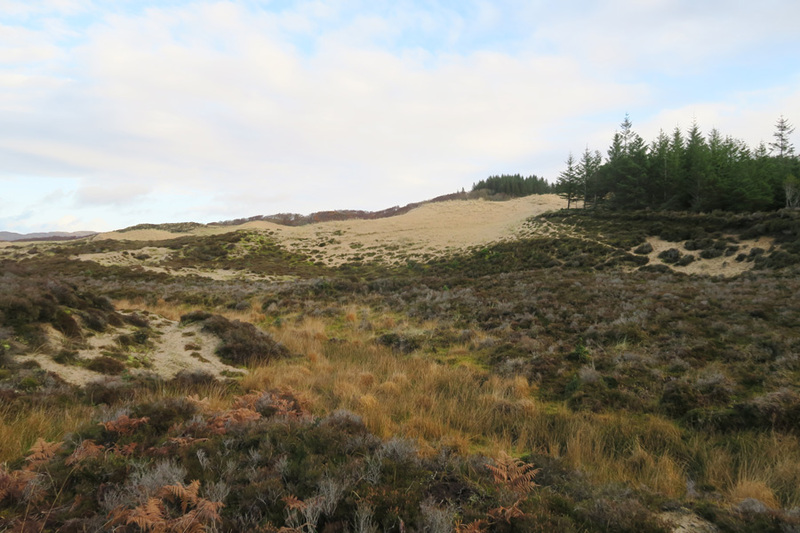 Mesolithic and Bronze age flintwork, microliths, arrowheads, small pointed blades, scrapers and beads have been found in the sand dunes behind Cul na Croise. 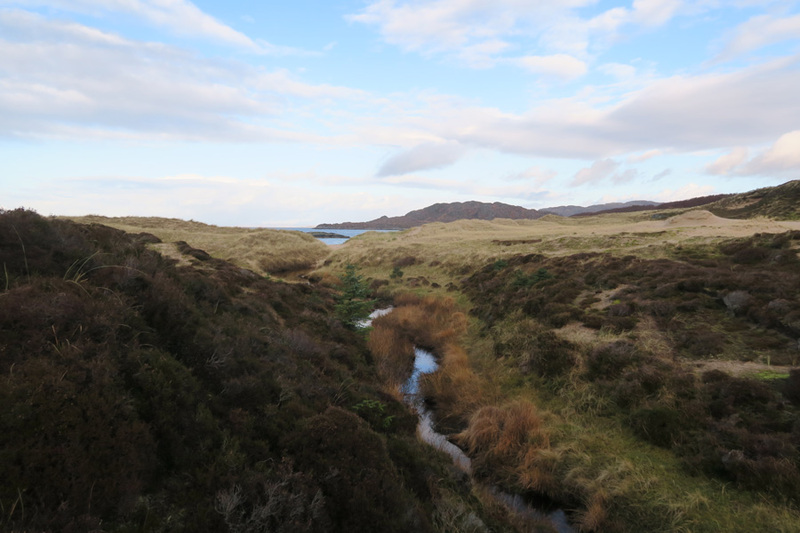 The bays between Gortenfern and Sgeir a Chaolais are also believed to be the sites of two major battles, one involving the Vikings, and the other between the forces of Edward I and islanders under Roderick of Bute and Lachlan of Garmoran in 1297 . 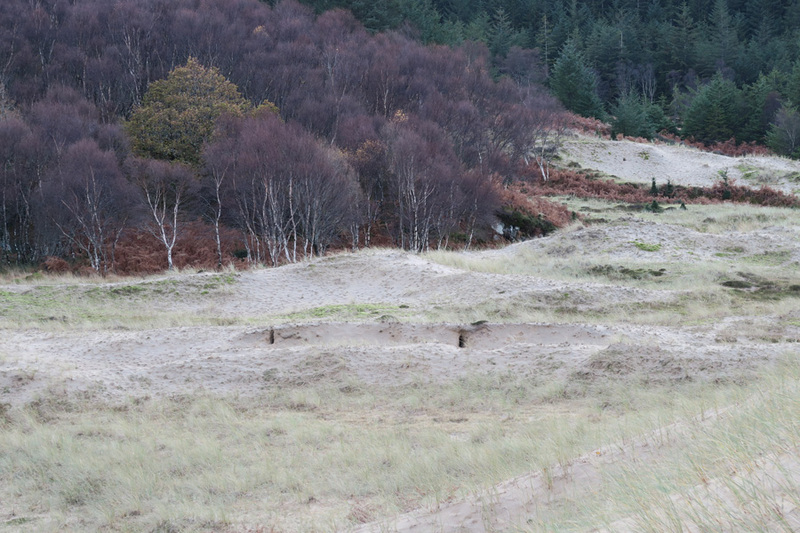 Clinch nails and rivets from a Viking ship burial at the site are deposited in the West Highland Museum at Fort William. 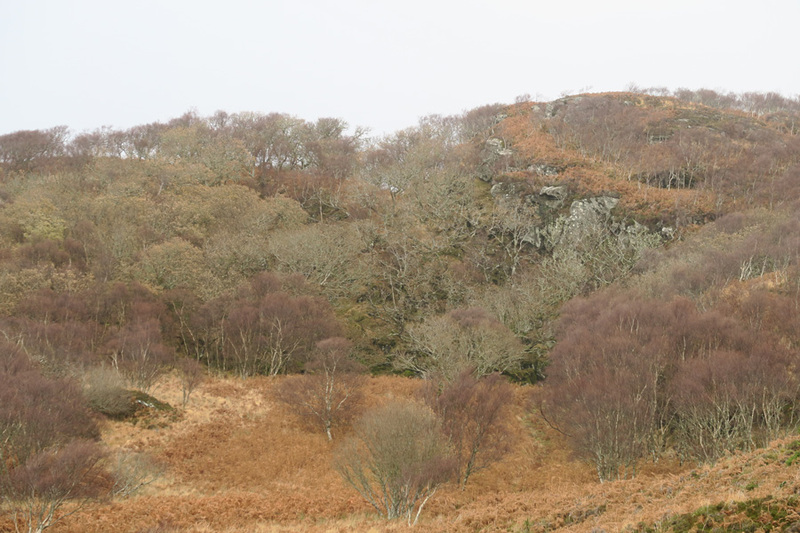 The 13th century artefacts include spears, daggers, a bronze brooch and an Edward I silver penny. 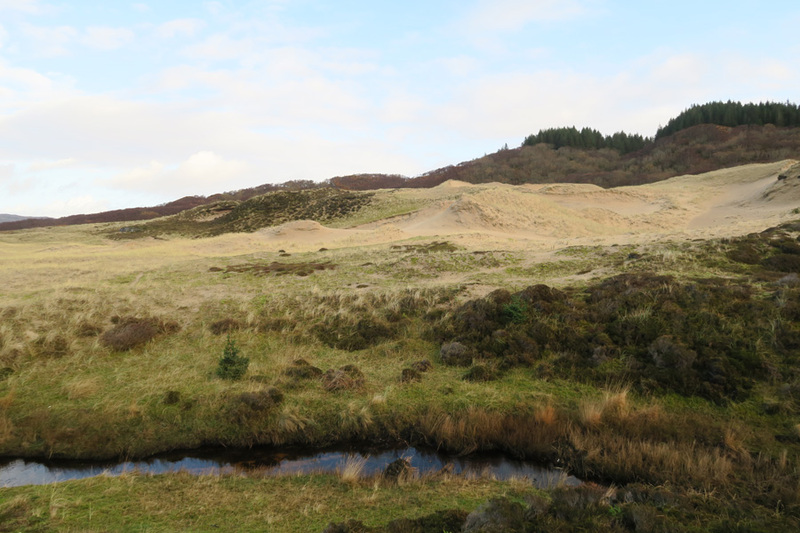 A coin of Charles II and musket balls have also been found in the vicinity. 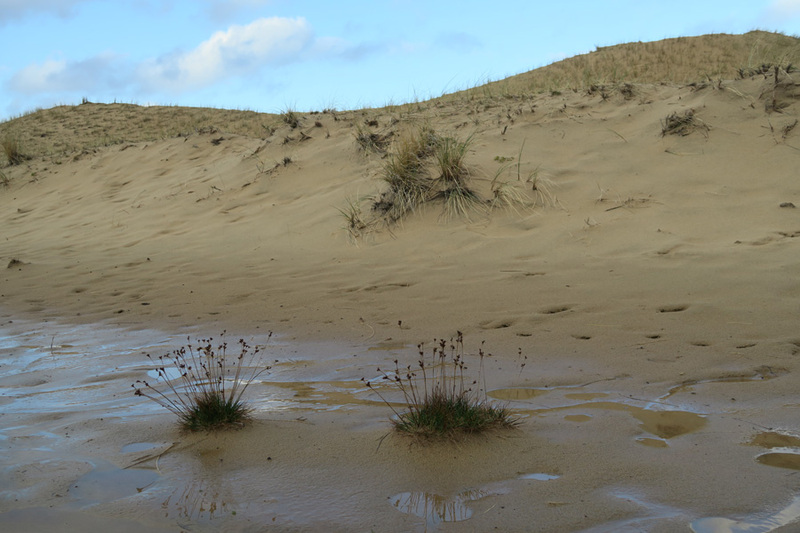 Fragments of "all-over corded" beaker and later pottery from the dunes can be found in museums in Cambridge and Glasgow. 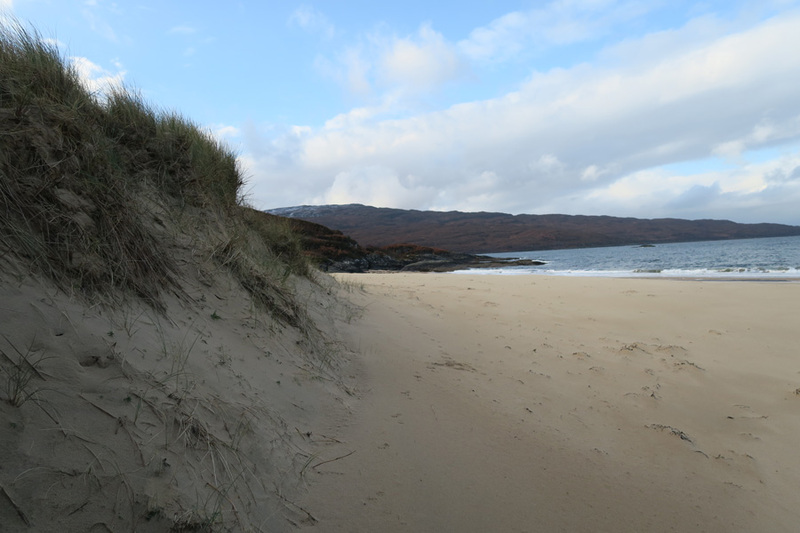 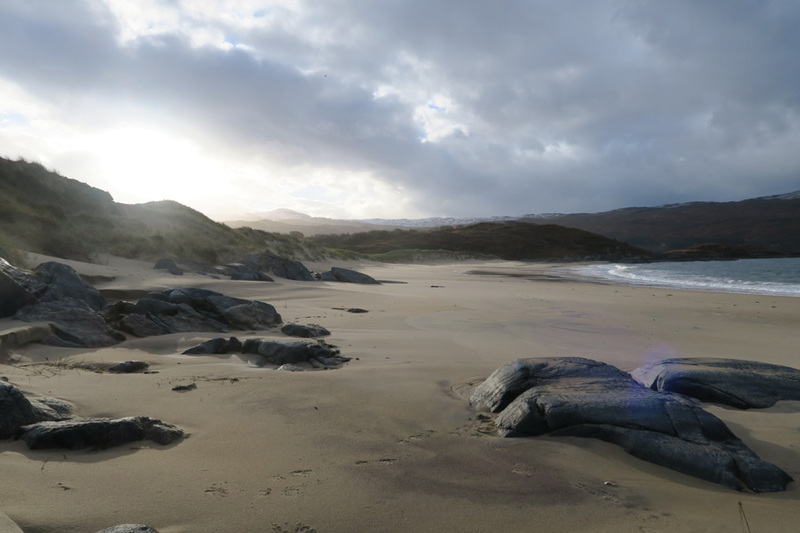 This stunning beach is within the National Scenic Area of Morar, Moidart and Ardnamurchan and affords some excellent views of Small Isles (Eigg and Rum). 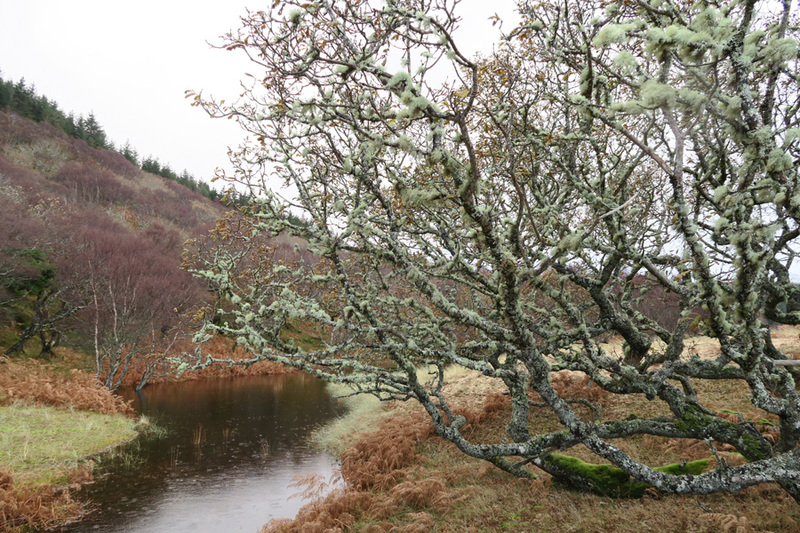 It is a great place to immerse yourself in the wilds of the Ardnamurchan and Lochaber. 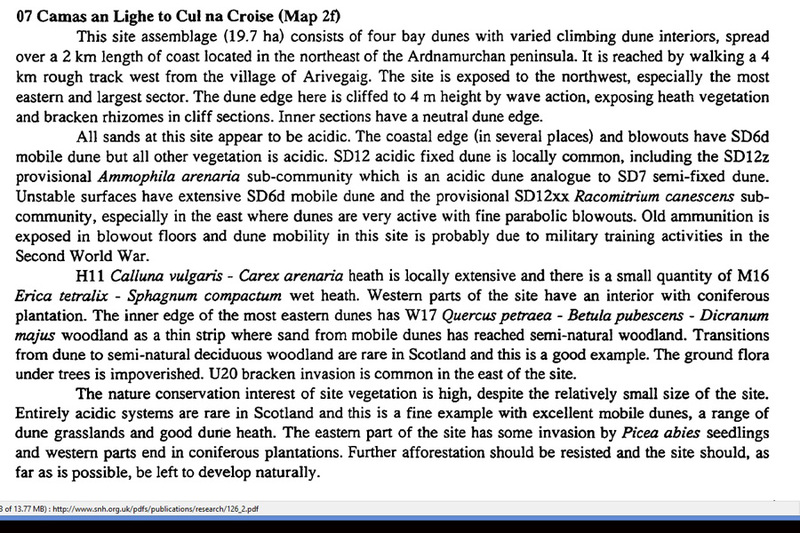 A real gem notable for its wildlife interest, archaeological value, remoteness and wilderness quality. 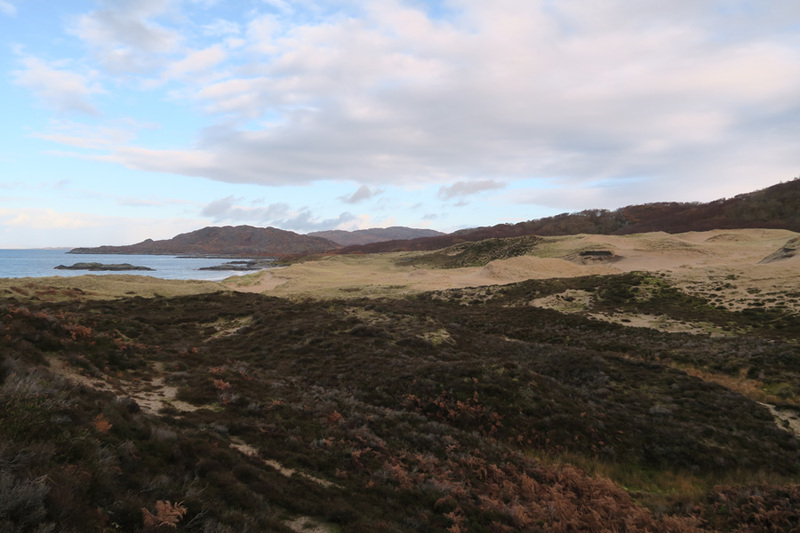 Cul na Croise can be reached from the popular walk to The Singing Sands at Gortenfern. 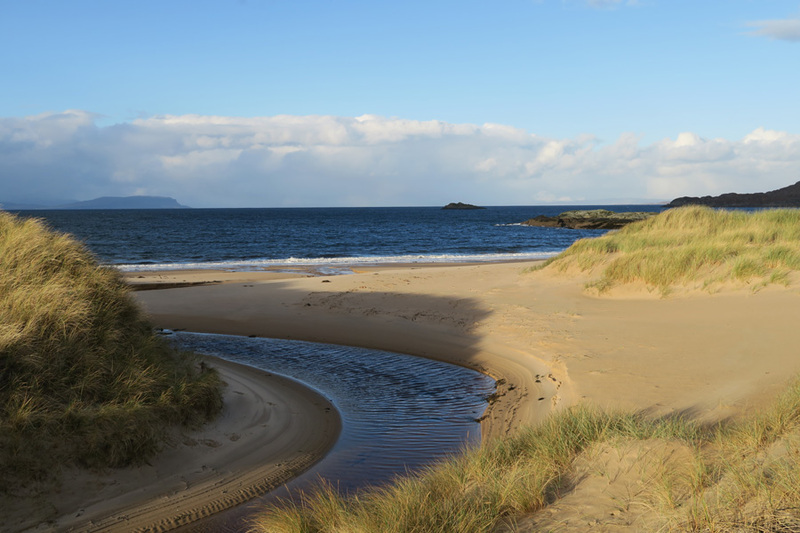 The walk to The Singing Sands can be extended to explore the sandy bays to the north east of Camas an Lighe including the lovely beach at Cul na Croise. 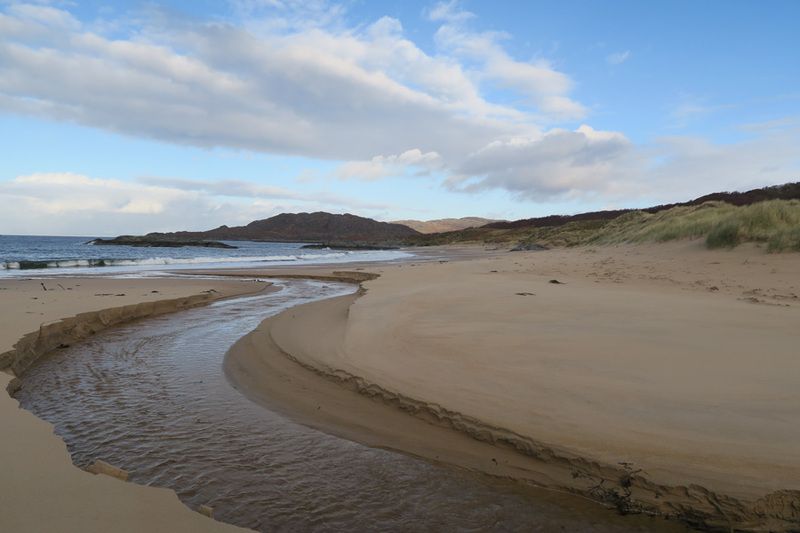 The bays are best visited at low tide. 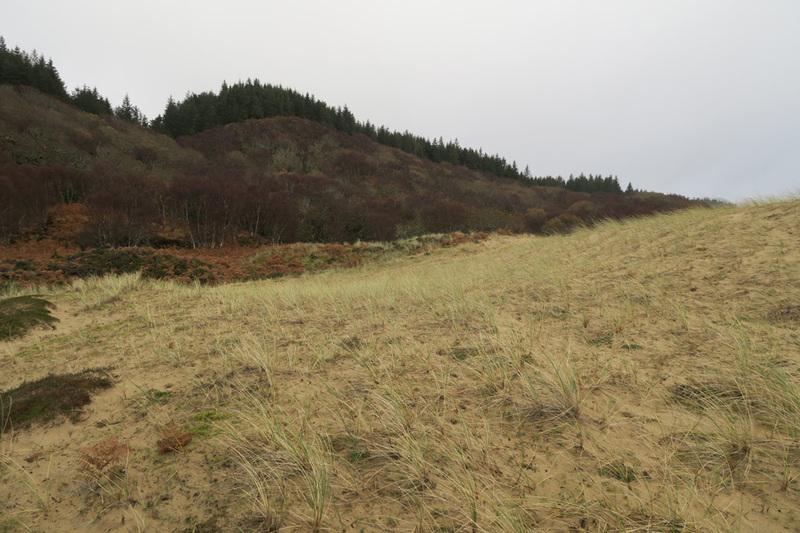 They are accessible via several small undefined paths generally running along the fence line by the edge of the forest plantation. 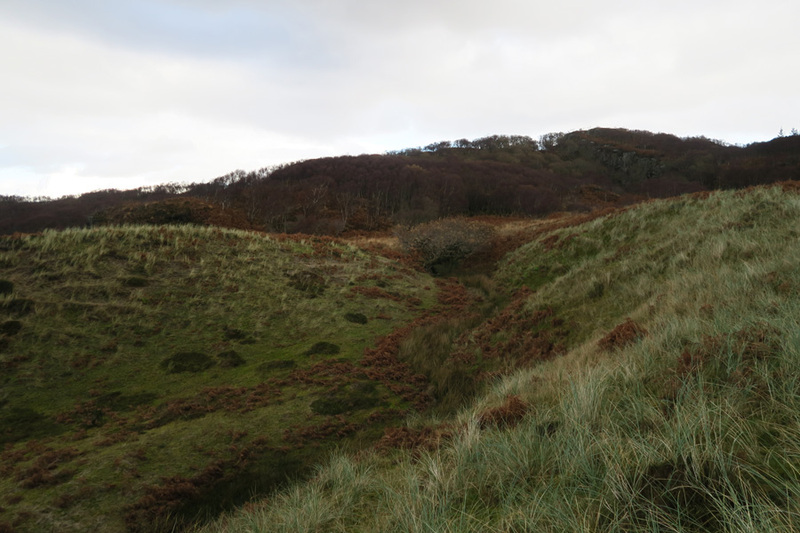 Please note, the route is boggy and uneven and should not be attempted without a map and suitable footware.